WASHINGTON - Attorney General William Barr told Congress on Tuesday that he would release a redacted version of special counsel Robert Mueller's report "within a week." Barr used his first appearance before a House committee since the end of Mueller's investigation to offer a scattering of details about how he and other lawyers in his office were reviewing the nearly 400-page report summarizing the investigation into Russian interference in the 2016 election. Barr told lawmakers that some parts of the report must remain secret because they contain grand-jury information or national security secrets, then pointedly declined to say more. Barr declined to answer questions about the details of the special counsel's investigations or whether any of its findings had been shared with the White House. Barr's reference to the timing for the report's disclosure tracked his earlier promise to deliver a fuller version of the report by mid-April. The attorney general said Mueller and his staff were working to assist in the process of removing sensitive information from the report so that it could be released to Congress and the public. And he defended the summary conclusions he delivered to Congress last month and the speed in which those conclusions were made public. "The work of the special counsel was not a mystery to the people at the Department of Justice… There was some inkling into the thinking of the special counsel," Barr said, referring to a March 5 meeting with Mueller at the Justice Department where the special counsel discussed his preliminary conclusions. Lawmakers used the hearing to question Barr on his decision to release a bare-bones summary of the special counsel's report last month in which the attorney general said Mueller had not found a conspiracy involving President Donald Trump's campaign and the Russian government. "The American people have been with many unanswered questions; serious concerns about the process by which you formulated your letter; and uncertainty about when we can expect to see the full report," said Rep. Jose Serrano, D-N.Y., chairman of the Appropriations subcommittee on Justice. "It would strike a serious blow to our democracy if this report is not fully seen." Appropriations Chairman Nita Lowey, D-N.Y., also called on Barr to release the report, asserting that the attorney general's abbreviated summary "cherry-picked from the report to draw the most favorable conclusion possible for the president." "Even for someone who has done this job before, I would argue that it is more suspicious than impressive," Lowey said of Barr's summary delivered to Congress two days after Mueller transmitted the report to the Justice Department. Barr's testimony was primarily about the Justice Department's $29 billion budget request. Republicans focused on other aspects of the request, and Democrats criticized the department's new move to ask a federal court to overturn the Affordable Care Act, commonly called Obamacare. But much of their questioning focused on the still-secret details of the special counsel's work. 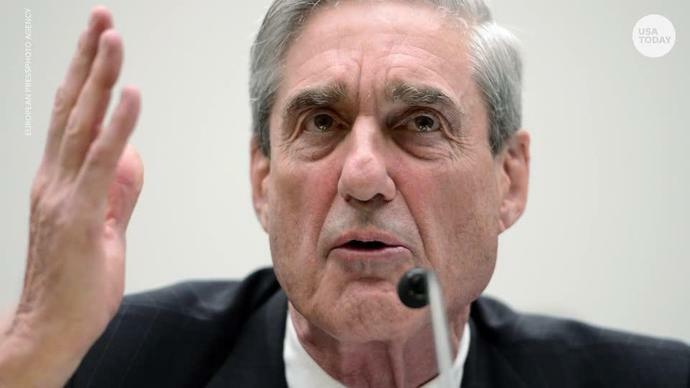 House Democrats last week vowed that they would seek Mueller's testimony in addition to that of Barr, who also is expected to address the matter for congressional committees in early May. Barr also told the House Appropriations subcommittee for Justice that he will color-code redactions, to highlight which of four reasons he kept information confidential in the report. Barr is redacting the report for grand-jury information, intelligence secrets, information that could impact ongoing prosecutions or that would harm the "privacy and reuptational interests of peripheral players."